Betex is a leading-edge platform for P2P financial derivatives trading. It enables users to place bets on future changes against each other.As a platform provider, we cannot engage in betting. Thus, there is no way for us to benefit from it. We only profit from collecting service fees. 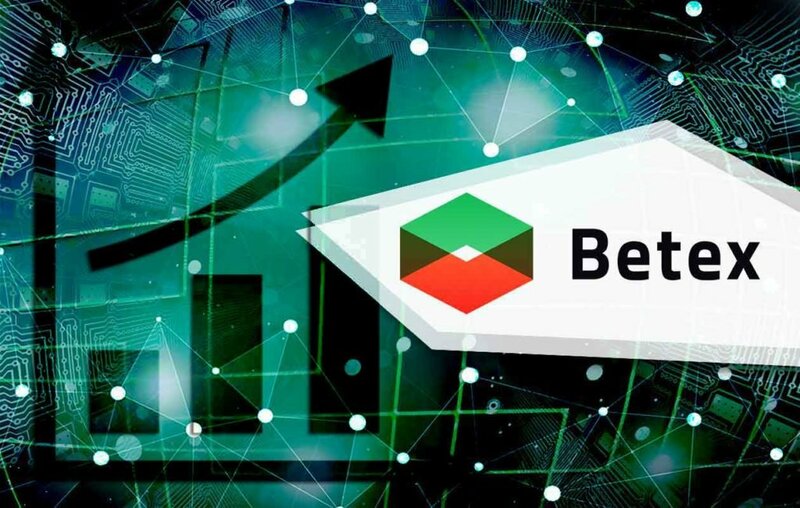 Built with Blockchain technology, unlike traditional platforms, Betex provides access to real-time data, thereby, ensuring absolute transparency of its system.Determined to reinvent financial derivatives market, we strive to instill incorruptible business logic that would conclusively eliminate the issue of trust. Blockchain technology provides open access to information at all times, thereby, ensuring fully transparent process, accurate data records and equal terms for everyone. Since we are not betting, there is no reason for us to manipulate results. Whatever is the outcome of your bet, we get to profit from collecting service fees. The goal is to consolidate maximum liquidity from the derivative markets through forming one common pool of liquidity for each trading asset, instead of creating multiple tiny ones. We use the white label model to build solutions and provide services that allow minimizing entry and setup costs as well as help brokers launch their business in no time. Payments are automatically released by smart contracts straight to your ETH wallet, ensuring immediate withdrawals without delays or cancellations. Platform users get instant access to all of its functions and features without having to make any kind of deposits first. According to the utmost conservative estimates, the volume for the world market of binary options is at least $30 billion per year, with almost $5 billion yearly in Japan alone. Exact estimation of this figure is not easy to obtain since in most countries there is no reliable data on the binary options market turnover because of its extreme shadiness and untruthfulness as well as the lack of clearing from the overwhelming number of brokers. Nonetheless, these days, binary options are no longer popular. Instead of building a user-centric, longlasting system for people to enjoy and benefit from, binary options have been often used to scam traders. Thus, despite the huge budgets spent on advertising, binary options have lost credibility. In some countries, they were given a semi-legal status. And even though there are no alternatives on the market, over the past three years there has been a significant decrease in brokers‘ revenues. Outcome of a bet makes no difference to us (as the platform provider), or to brokers, as neither of us can actively take part in the betting process. We charge service fees, while traders place bets against each other (peer-to-peer). No deposits are required and an instant automatic withdrawal of funds is ensured. It is mainly possible due to the use of smart contracts. Both the platform and brokers can always prove authenticity and accuracy of the results. In the worst case scenario, if a mistake is made, it will be admitted or justified. Hence, it is no longer needed to trust each other to be sure terms are fair. 50% of the platform’s profit made from commission is distributed among BETEX token holders. 40% goes to brokers. A composite rate, used in all calculations, is derived from several open sources by an established algorithm, considering the value of each source that is defined by trading volume. Using multiple sources makes entangles possible manipulations with the rate of an underlying asset, since they would have to be done in several places simultaneously. Working out of the composite rate is a completely open and transparent process : it is being logged and presented for public access in real time. BETEX is on a mission to bring clear-cut transparency to all financial markets and, that can conclusively eliminate the issue of trust. First and foremost, though, we strive to reinvent binary options through instilling incorruptible business logic into everybody‘s value system. Attention! To participate in the Betex ICO, the participants should complete KYC procedure in the personal proﬁle.